Over the past couple of weeks our garden has started to noticeably change. The weather has cooled, possibly a bit early this year, with days reaching less than 30 degrees Celsius. 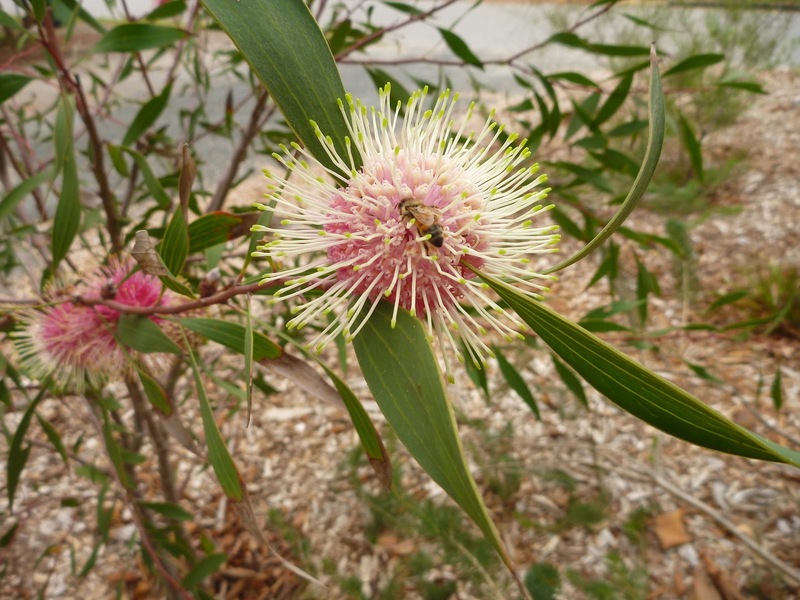 Some of the native plants are blooming and with them the honeyeaters and bees are feasting on their nectar. Turtle and I have taken to sitting by the front window and watching honeyeaters feed in the mornings. I've noticed that the brown honeyeaters seem to be the first ones there until the new holland honeyeaters come in and bully them out quick smart. 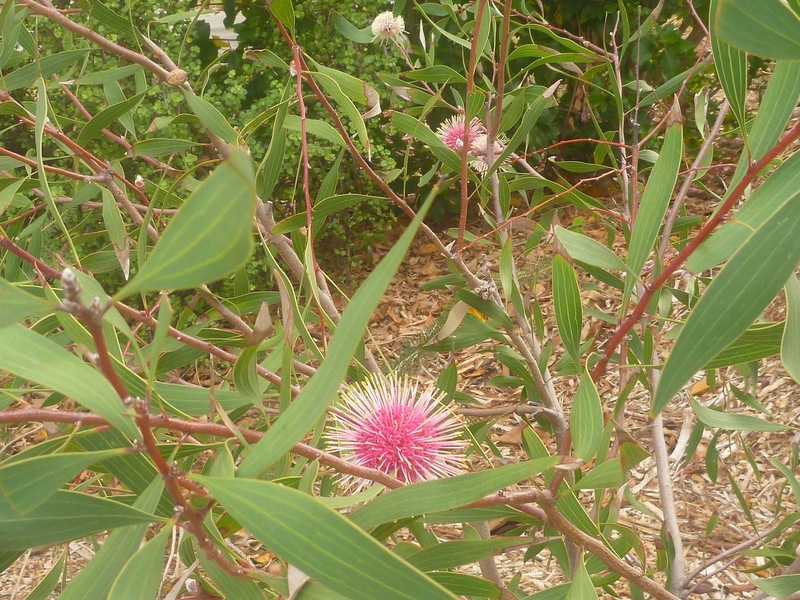 The Pincushion Hakea (Hakea laurina) is starting what I expect to be its best bloom ever. We seemed to have lucked out by planting it in the perfect spot 3 years ago and it has flowered well each year since. An unexpected bonus of us sitting by the window is that we are noticing all of the things that are happening in our garden. 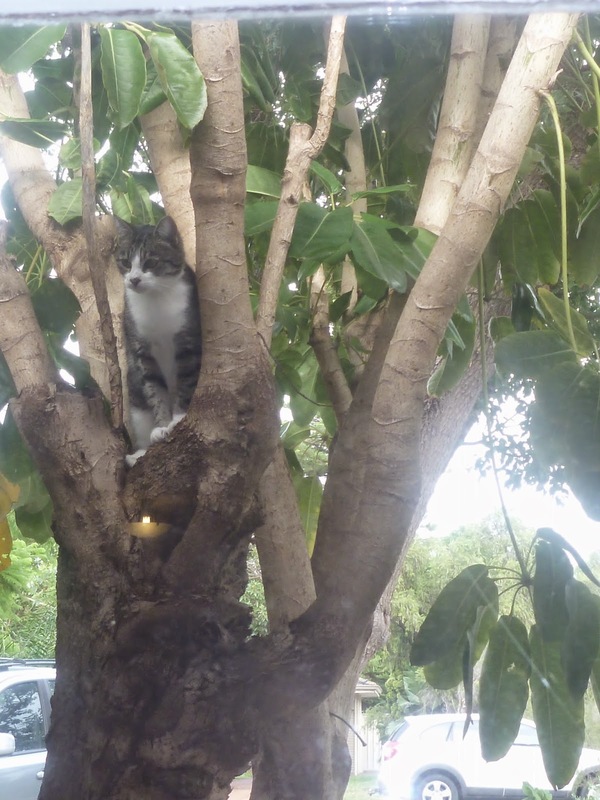 This includes our cat Rogue going crazy and running up trees, possibly trying to catch some of the birds. I was hoping to catch a photo of the honeyeaters feeding but it was nearly impossible. A 17 month old does not lend herself to waiting quietly for photos. Turtle has become obsessed with handling cameras and phones herself so that adds even more difficulty to the task. I have settled for capturing a bee feeding instead. It is lovely to see the garden coming back to life after summer. It is also nice to be able to get out and enjoy the garden without risking heat stroke! How is your garden faring the change of season? Are you enjoying it more?